I had the opportunity to be at Randa in 2011. I have been at lots of KDE sprints over the years. Randa is one of the very special ones. There is an amazing level of energy, the buzzing atmosphere of getting things done, a deep sense of purpose. Randa is a good place to create free software. Part of that is the environment. In the middle of the mountains with not much around than the impressive nature of the Swiss Alps, you feel physically focused on what's important. Everybody is living in the same house for a week, eating, sleeping, and hacking. There are no distractions, there is a quietness which is inspiring. Another part is the deep commitment of Mario, the organizer of the meeting. He puts in a lot of personal energy. He even dragged in his family and friends. He equipped the house with WLAN. During the meeting he tries hard to create the best possible environment for all the volunteers who come to Randa, so they can focus on creating free software and all what is around that. With this in place, magic happens. KDE Frameworks 5 was started at Randa. The famous tier diagram was created there. One of the projects I have been working on, Inqlude, originated there. Sebas came up with the name, the idea was discussed and prototyped, and on the train home I wrote the first version of the web site, inspired and motivated by the energy from the meeting. Lots of other good stuff originated from Randa. All this is only possible with the help of all of you. Many people put in their passion, energy, vacation, free time. But it also needs money to bring people together who otherwise couldn't afford it. You can help with a donation. Are you a KDE user? Do you use KDE software for work or leisure? You can help the community to sustain the development of the software you use. You can give something back with a donation. 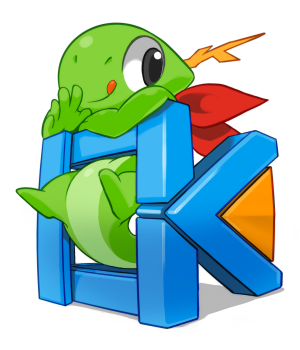 Are you a KDE contributor or have been one in the past? You have experienced what a difference meetings such as the one at Randa can make. Maybe you have met your employer or your employees at a KDE sprint. Maybe you started as a student in the KDE community and now have found your dream job as a software developer. You know what it means to learn and grow in the KDE community. You can help, you can give back, you can contribute with a donation. Do you care about freedom? You want to be in control of your software and your privacy. You want to be able to study your software to see what it does, be able to change it and help others by giving them the changes as well. KDE is committed to this for more than 17 years now, to protect the freedom of users and contributors, and give access to great technology to everybody. Eva Galperin said in her Akademy keynote last year: "You are the developers. You are our last and only hope. Save us". That's what meetings such as Randa help to do. You can support it with a donation.